Samsung had promised at the MWC 2013 that it would release at least 3 phones having its Tizen OS and it seems to have kept it word. It is coming of with two models, codenamed Samsung GT-I8805 Redwood and GT-I8800 Melius having Tizen 2.1 Magnolia operating system. The Redwood was spotted in the wild by active blogging community. The Redwood seems a high end phone while Melius will be a mid range model. Though the reports are very dim about the features, these phones will have, but the GT-I8800 Redwood with the latest Tizen 2.1 was seen having S-Voice, which will wake up when users say “Hi, Tizen” instead of “Hi, Galaxy”. You will remember my post where I has predicted the next S series to be based on Tizen, maybe this prediction may indeed come true! You may read the article here. In addition, Samsung has already introduced the upcoming platform's App store. The application storefront, which was demonstrated at the Tizen DEVCON, was appreciated by developers. In the app store, apart from standard sections like featured apps and categories, there also seems to be a special section dedicated entirely for discounted apps, which will be convenient if someone wants to look for titles that may be available at a lower price temporarily like the offer of the day type which will be new sort of strategy from any Play Store. Unity has already started offering its Engine for free to Tizen developers so now that they can try the new App Store. 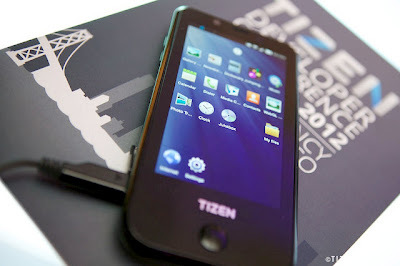 As does the Havok which plans to offer free games on Tizen Do write in your comments on these new phones.